Members of the 1952 Swiss Everest expedition team. Dr Edouard Wyss-Dunant is second from left on the back row (Photo: Swiss Foundation for Alpine Research). If you have then it’s likely you reacted in one of two ways. Either your respect for the writer grew enormously as you began to understand the risks they were taking in the rarefied air of extreme altitude, or every time the author mentioned the phrase you imagined it being written in blood as the sound of evil laughter echoed across the mountain accompanied by a dramatic organ chord. But what is it, and why does it feature so frequently in accounts of climbing in the Himalayas, but nowhere else? The term Death Zone, or Todeszone in its original German, was first coined by Edouard Wyss-Dunant, expedition leader of the 1952 Swiss Everest expedition which came within 250 metres of the summit a year before Hillary and Tenzing eventually reached it. In a paper on acclimatisation published in the 1953 edition of The Mountain World, the journal of the Swiss Foundation for Alpine Research, Wyss-Dunant described four zones a mountaineer passes through at extreme altitude. Zone of acclimatisation. Found between 16,500 ft and 19,500 ft (roughly 5000m to 6000m). In this altitude zone the body continues to adapt and correct itself to reduced oxygen levels. In this zone a climber will continue to acclimatise the longer they remain there. Zone of adaptation. Found between 19,500 ft and 25,500 ft (roughly 6000m to 7800m). In this zone the body no longer improves. Recuperation isn’t sufficient to replace lost calories, and the body begins to draw on its reserves instead. Lethal zone or death zone. Found between 25,500 ft and at least 28,125 ft (roughly 7800m to at least 8600m). In this zone the body can no longer adapt and recuperation is impossible. In Wyss-Dunant’s words “survival is the only term suitable for describing the behaviour of a man in that mortal zone”. Wyss-Dunant was unable to say where the ultimate zone began, and while it must exist somewhere as surely as Michael Jackson was partly made from plastic, we now know that it’s not found anywhere at ground level. 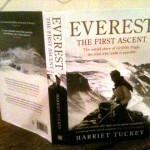 He knew that four men, Edward Norton and Howard Somervell in 1924, and Lawrence Wager and Percy Wyn-Harris in 1933, had climbed to 28,125 ft (8572m) on Everest without supplementary oxygen, but at the time he was writing it was generally assumed nobody would be able to reach the summit without it. Reinhold Messner and Peter Habeler were the first people to prove that it’s possible when they made the first oxygenless ascent of Everest, by the Southeast Ridge in 1978, and many more people have done it since. While the concept of the death zone is an attractive one to writers and mountaineers longing to make their climbs sound more exciting than they are, it’s questionable whether it exists on the top of high mountains any more than the ultimate zone does. Messner was sceptical about the concept, and throughout his mountaineering career challenged such notions by pushing the boundaries of what was possible at extreme altitude. In 1999 Babu Chiri Sherpa spent 21 hours on the summit of Everest without supplementary oxygen, and was even able to grab some sleep while he was up there. Even I spent two nights at 8200 metres, and I’m no elite climber. 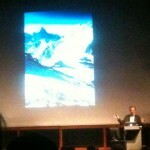 Although I slept on half a litre a minute, on the second night after my return from the summit my oxygen ran out. 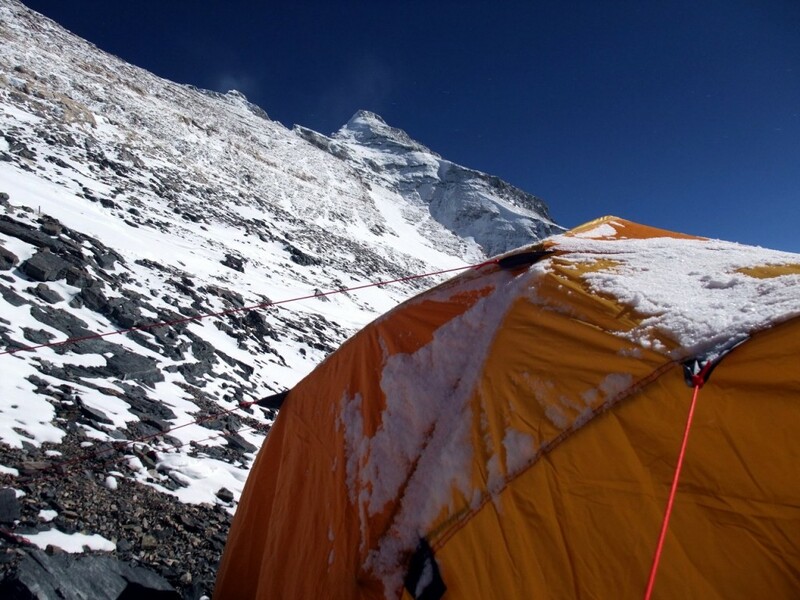 I was exhausted when I arrived back at camp, but by morning I had easily recovered enough to descend to advanced base camp, so I would challenge the notion that it’s impossible to recuperate at that altitude. None of this apparent evidence has led many people to question whether the death zone is anything other than an established fact, and its power to generate drama remains strong. In his book called, appropriately enough, The Death Zone, about an ascent of Everest by the North Ridge, Matt Dickinson says this about it. Before traversing the Geneva Spur and starting the descent, the last man of the 1952 Swiss Everest expedition leaves the South Col in the heart of the death zone (!?!) at 25,850 (Photo: Swiss Foundation for Alpine Research). I don’t know what he was taking when he wrote this paragraph, but it was something stronger than alcohol and quite possibly illegal. Unless of course he was taking the piss, which is equally likely given the dry humour which seeps through other parts of the book. While the concept of a zone where you will eventually die if you stay there long enough is a useful device for writers and journalists eager to add a bit of drama to their story, it exists in many other quite mundane places, but we don’t make such a big fuss about it. A McDonald’s restaurant and the Big Brother house are two places which immediately spring to mind where lingering too long is likely to prove lethal. I wouldn’t want to spend more than a few days in Jeremy Clarkson’s bedroom, and a reading group to discuss James Joyce’s Ulysses would be likely to bring about death far sooner than a stroll in the mountains above 8000 metres. If you spent a week stuck in a tent in the Cairngorms you would probably die of something, be it exposure, thirst or starvation, but it certainly wouldn’t be oxygen deprivation. As for the death zone being a place where the mind wanders into strange and dark corners, I assume Matt Dickinson didn’t actually write his book while resting in his tent below the Northeast Ridge, and that his mind was evidently wandering in some peculiar manner when he wrote this statement is proof enough he must have found some other location below 8000 metres where it happens. Which bombardment of impenetrable logic brings us to the conclusion that the death zone is more likely to be a figment of the imagination than an actual place. Of course, I certainly don’t mean to imply that climbing above 8000m is easy, or that oxygen deprivation doesn’t play a factor in your ability to climb. 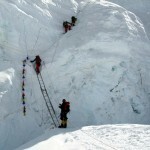 I know perfectly well that it plays a huge factor, but altitude sickness can affect people from as low as 3000m, and lethal conditions such as high altitude pulmonary edema (HAPE) and high altitude cerebral edema (HACE) can occur well below the region known as the death zone for people who do not take the necessary precautions by taking it slowly and keeping well hydrated. What I’m saying is I believe the death zone is more of an artistic device than a real place. Sixty years have passed since Wyss-Dunant wrote his seminal paper, but the word seminal can have two meanings, one praiseworthy and the other too unpleasant to describe. Much has been learned about altitude since, yet we are still taking his concept of a death zone as gospel truth. Is it time to challenge the idea? Although I’ve spent time in this frightening place (if it exists) I’m not a doctor, so I would welcome anyone contributing to the discussion with hard scientific facts. 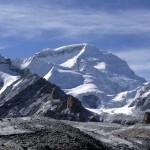 ← Did Chinese climbers reach the summit of Everest in 1960? I always enjoy reading your articles and posts. But I wanted to say this one has a terrific balance between humour and making a serious point. Super. Hi Mark, this is my first time commenting despite following your excellent blog for several months. This is another interesting article which also made me chuckle. I’m a German native speaker but unfortunately I don’t have access to Wyss-Dunant’s original article. However, after some searching around the net I’m pretty sure that Wyss-Dunant did use the word “Todeszone” (=death zone) because several other mountaineers and doctors quoted him directly with this exact word. Hi Ann, glad you like the blog, welcome and thanks for posting (at last 😉 ). There’s quite a bit of misinformation floating around about this story. For example, there are references all over the place to “Wyss-Dunant’s book The Mountain World” (eg. http://schott.blogs.nytimes.com/2010/04/28/death-zone/, which also mistakenly says Wyss-Dunant almost reached the summit and other factual errors) by people who don’t realise The Mountain World is the journal of the Swiss Foundation for Alpine Research, to which Wyss-Dunant contributed an article. Somebody must have made the statement, and everyone else copied and pasted it without checking. Although I expect Wyss-Dunant probably did use the term Todeszone the only way to know for certain is by getting hold of the original in German and checking. Well argued mate and I particularly liked the aside about Clarkson’s bedroom!. Strange how a bloke like Clarkson manages to pull the birds eh!. I’m surprised he, the Hamster and Capt.Slow haven’t yet had a race up the East Rongbuk in various vehicles to the foot of the North Col though!. Anyway, death zone sounds so much more dramatic than lethal zone, as does Todeszone compared to tödliche Zone. BTW, Todeszone seems to be used a lot to describe deserts, too. It’s a long shot, I know, but I thought I would ask – you never know what the wonderful world of global communications can produce these days! I’ve just finished reading your book, the Comolungma Diaries which naturally led me to your blog, and I am glad I read the two in such close proximity. Having ascended only Mt Kenya in my early teens, but there having also suffered severe and embarrassingly debilitating altitude sickness, I can well believe in such a zone as the death zone. Anyway, keep up the great writing and blogging. Suncream doping is excellent! In fact the dangers I felt on summit day were more to do with other factors such as the exposure, awkwardness of the terrain and sheer exhaustion than the lack oxygen. These are all factors which can be present on much lower mountains! My two experiences of using oxygen (on Manaslu and Everest) do not lead me to believe a malfunctioning oxygen cylinder would be life threatening. I have always found them tricky to use effectively, though when they work the effect is clearly noticeable. I was only on 1 litre per minute for most of my summit day on Everest, so had I run out or it stopped working I do not think I would have died through lack of oxygen. Hi Mark! amazing research on the ‘Death zone’. Please write something about Indian Himalayas. Thanks.